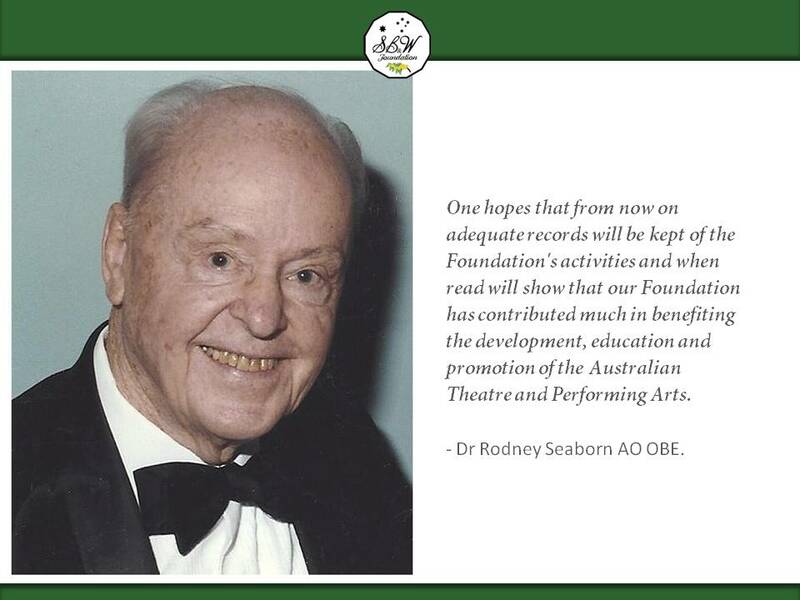 The Foundation was inspired by Dr. Rodney Frederick Marsden Seaborn ("Dr. Seaborn") who as long as he could remember was interested in theatre. This interest was inculcated upon him from a very early age by frequent reminiscences of his father who himself, as a young man, had done much amateur acting. 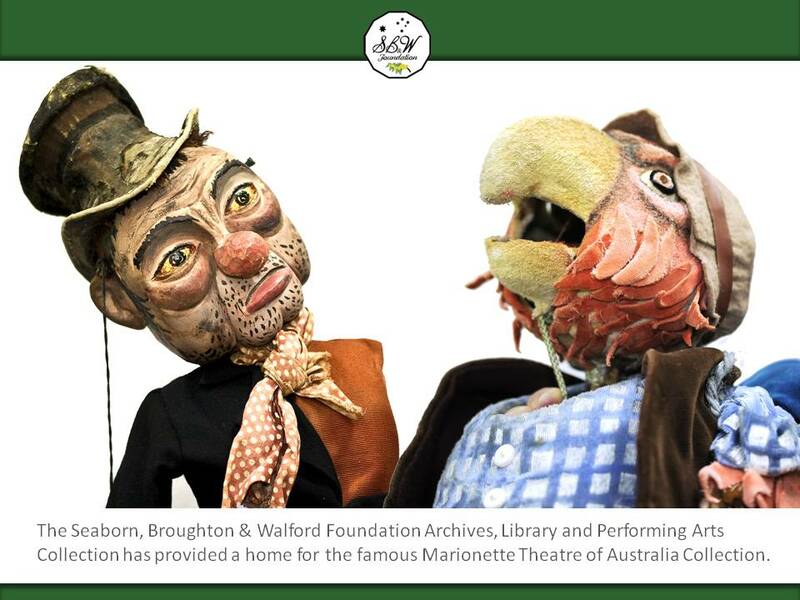 Thereafter, his interest was fostered by his mother and his maternal grandmother (Mrs Frank Broughton nee Walford) who were both theatre goers and first nighters. 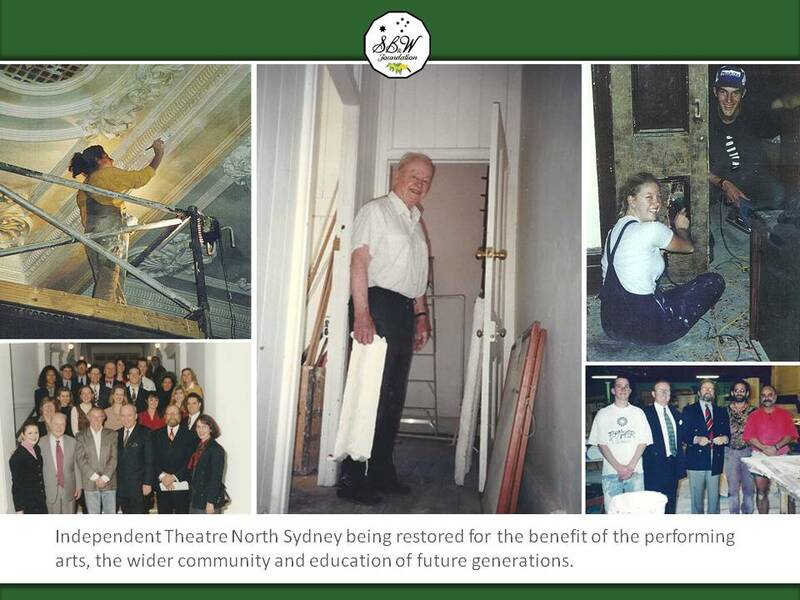 In later years, after World War Two, his interest was stimulated by the "smaller theatre" which was springing up in Sydney and elsewhere and especially by some plays in which he had seen John Bell. The original Nimrod Theatre (later called the "Stables") was the venue he particularly liked, not only because of some of the fine performances he had seen there, but also because of the atmosphere of the theatre itself – its smallness, its intimacy and the closeness of the audience with the performers which, in some way, increased one's empathy. 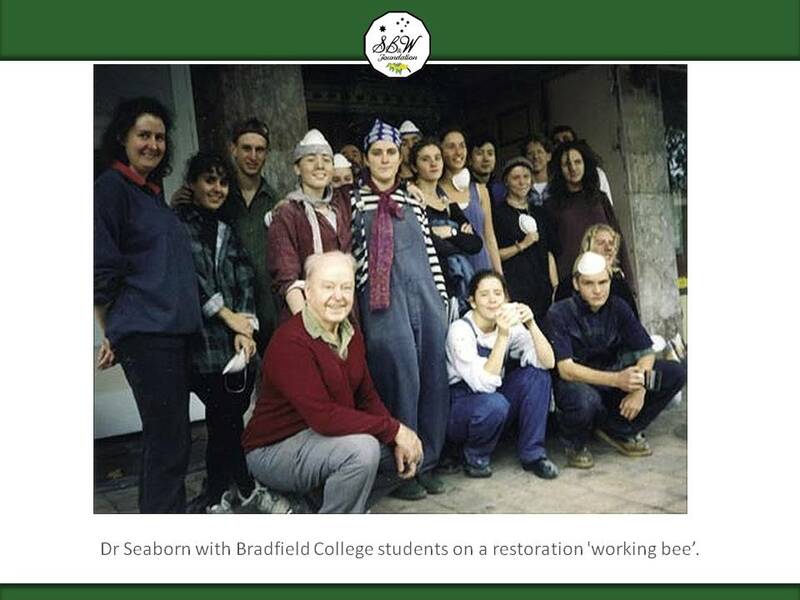 Some years ago, when John Bell and others were seeking funds for the “Nimrod”, Dr Seaborn was very tempted to become involved but for various reasons did not. 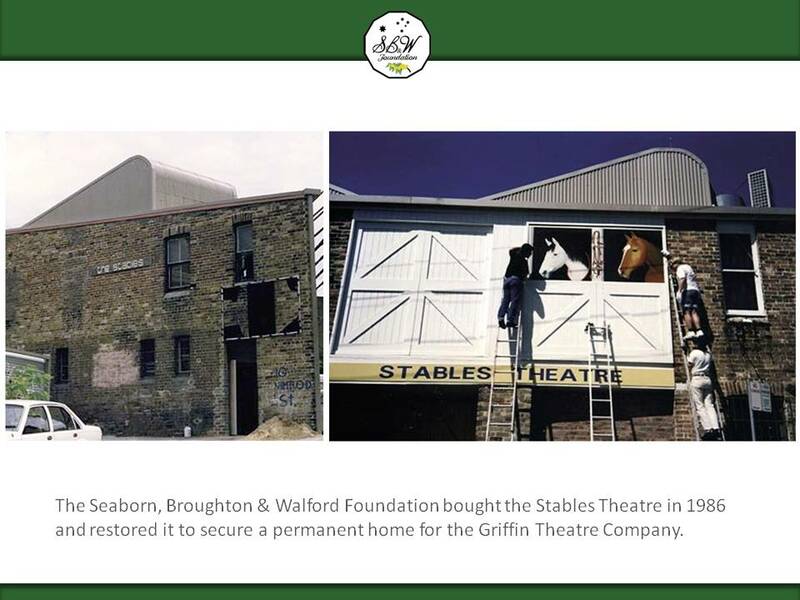 Subsequently, the Griffin Theatre Company leased "The Stables Theatre" (the original Nimrod Theatre) and Dr. Seaborn enjoyed the productions he saw there and still liked the atmosphere of the theatre. 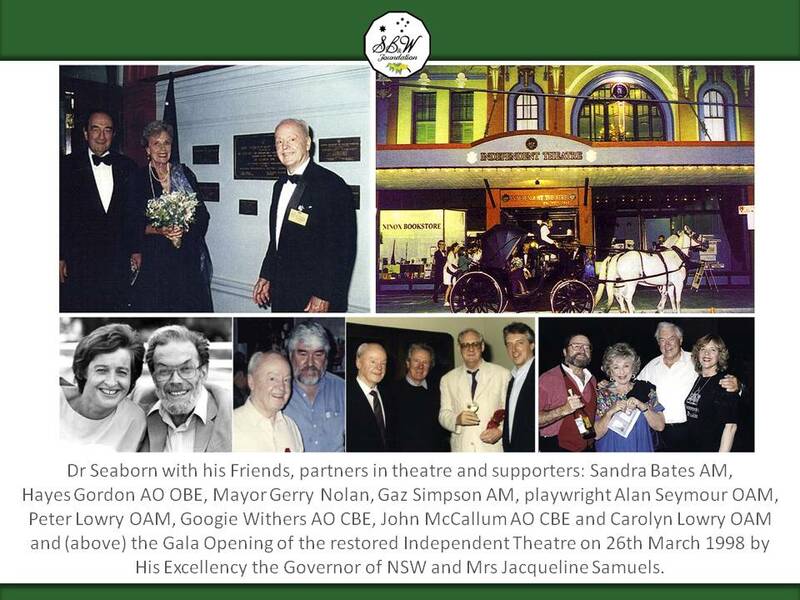 In November 1985 he saw in the Sydney Morning Herald an appeal by the Griffin Theatre Company to help save the Stables Theatre for theatre. The reason for this appeal was that the building was going up for auction sale and might well have been lost to them as their home. 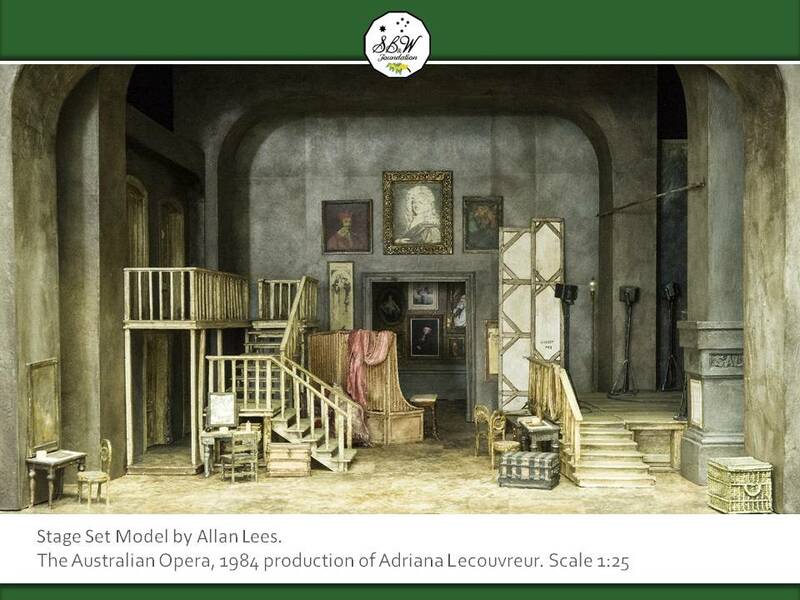 This would have meant the loss of an important theatre that had been the cradle in Australia for many Australian plays and performers. 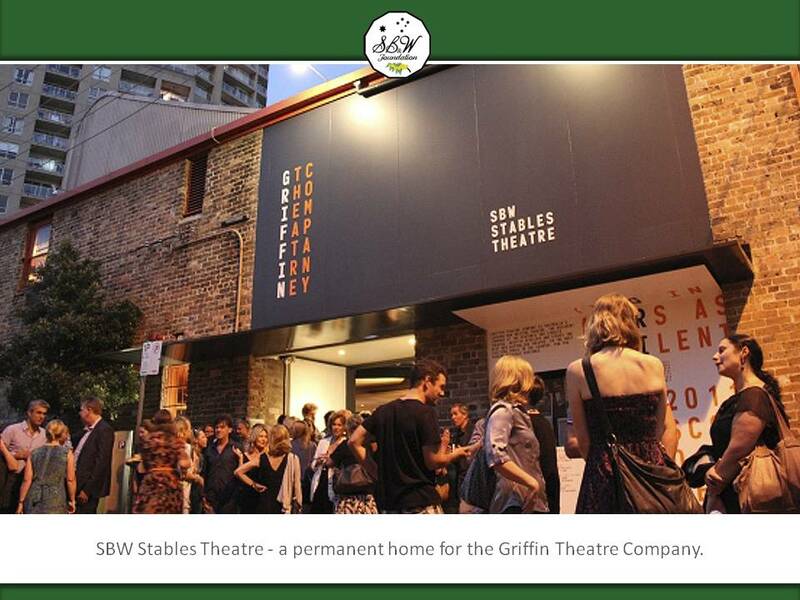 The Griffin Theatre Company itself was also fully committed to an Australian emphasis in their productions. 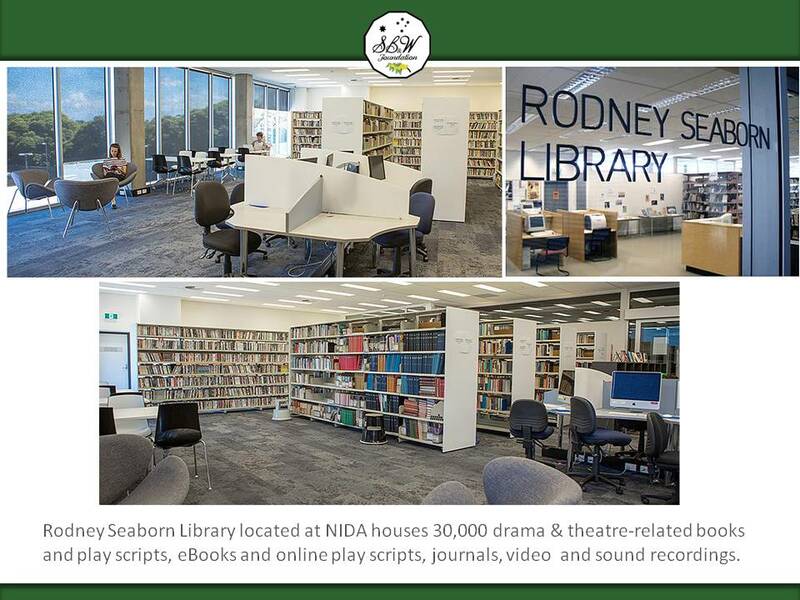 Dr. Seaborn thought that if he could purchase the theatre he would offer it to the Griffin Company, rent free, provided they become responsible for the expenses of all outgoings and for the cost of any renovations required by the various authorities. Dr. Seaborn went round to the Stables Theatre and saw a young man at the reception counter and obtained from him the name and telephone number of the Administrator, Bill Eggerking. He phoned him, told him of the proposition. 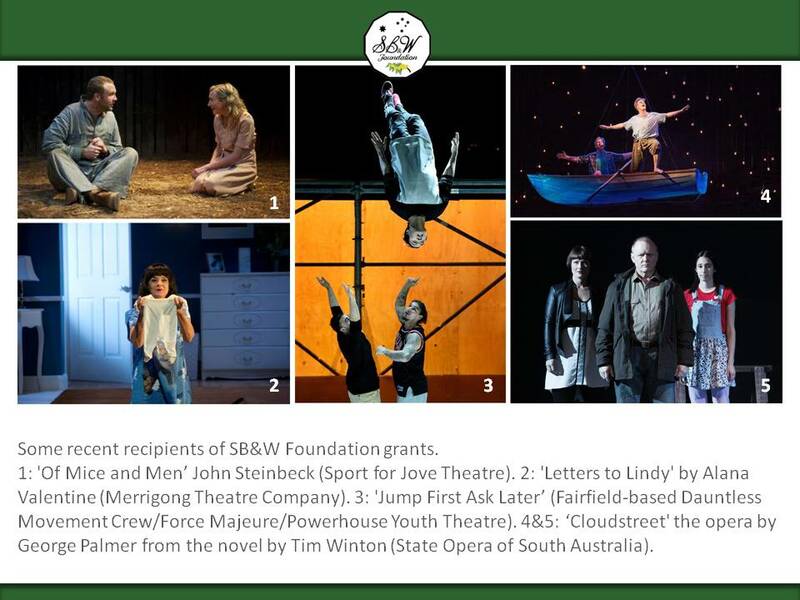 Bill Eggerking and Penny Cook, a well known actress, a devotee and stimulating force to the Griffin and the Australian theatre generally. She was then a director of the Griffin and a daughter of Pam Lovell who was known to Dr. Seaborn. They were enthusiastic at the proposition and arranged a meeting with their Board. 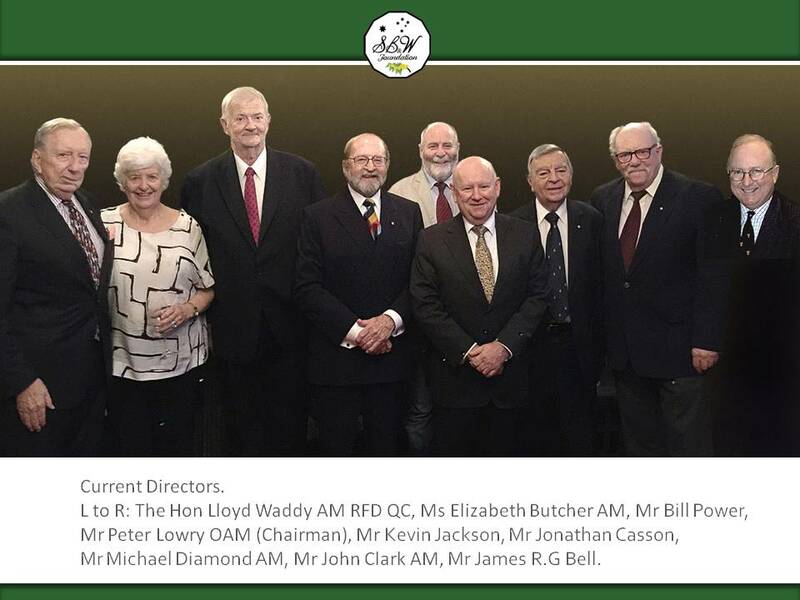 At this meeting were present John Senczuk (chairman), Penny Cook, David Lynch, Lilliam Horler, Katharine Brisbane, Robert Love, Ruth Buchanan, Bill Eggerking and Dr. Seaborn. The proposition was accepted very happily. 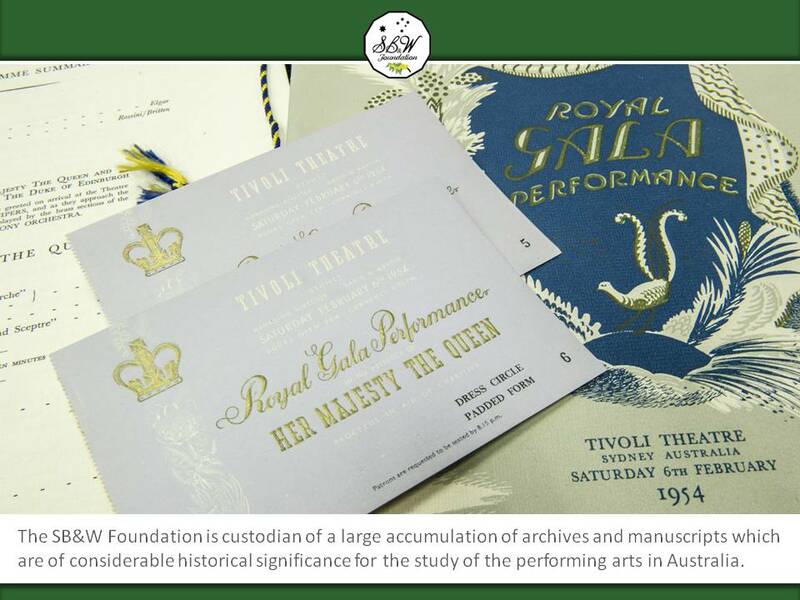 Lilian Horler mentioned that she wore two hats, one as a director of the Griffin Theatre and another as one who wanted to see a charitable Foundation set up to promote Australian Theatre and performing arts and that perhaps, in some way, the interests of both "hats" might some day be married. Dr. Seaborn later discovered that Lilian Horler with her husband Ken Horler and John Bell and others had been the ones who had founded the original Nimrod Theatre and had found the venue (the present Stables Theatre) and named it "The Nimrod Theatre" after the street in which it was situated. 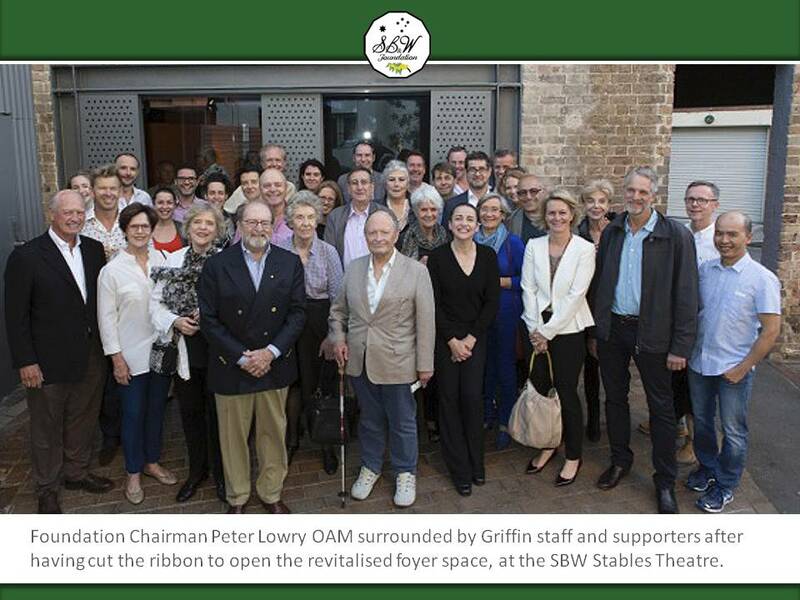 On the day appointed for the auction sale Bill Eggerking, Lilian Horler, Dr. Seaborn and Paul Duffy, his solicitor, attended the venue at Double Bay where the auction was to have been held. 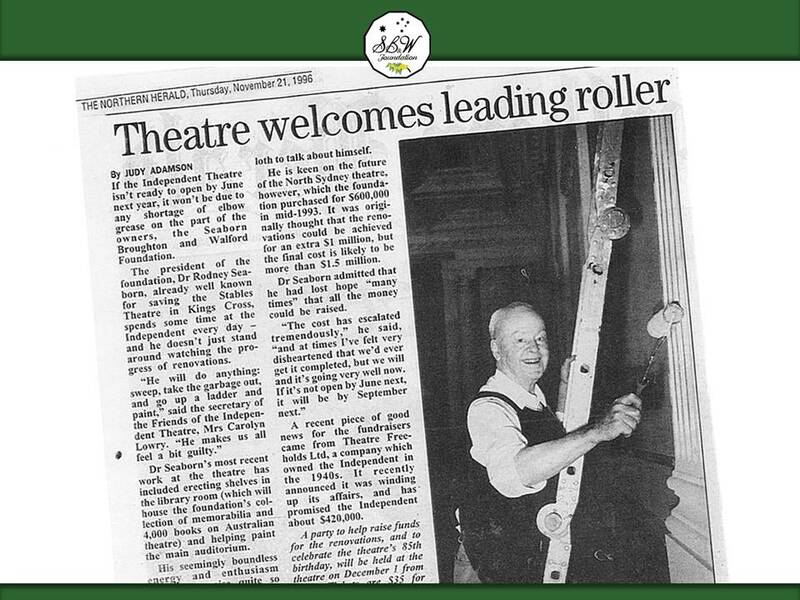 Unfortunately, the Stables Theatre was withdrawn from sale at the last minute by the owners, Bob Ellis and his wife, who had decided not to sell. This was a severe disappointment for all involved in planning the theatre’s rescue. 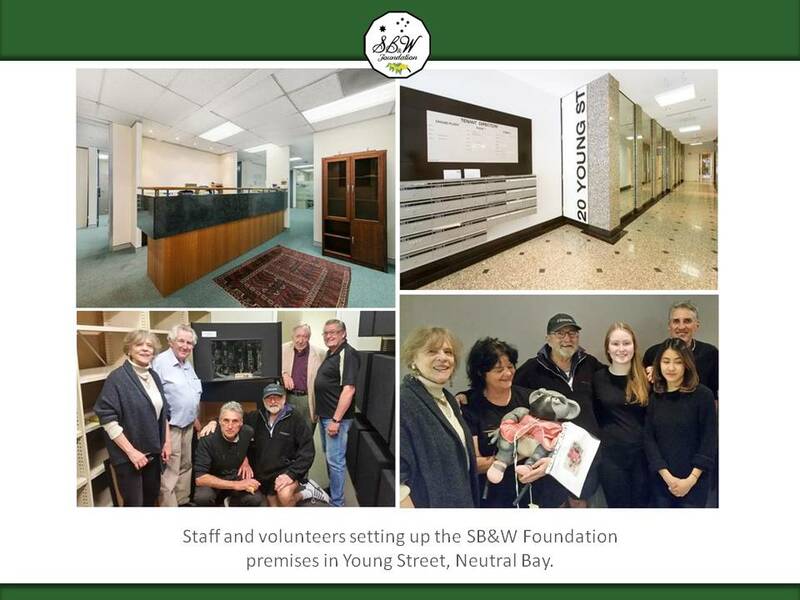 However, Dr. Seaborn was able to assist the Griffin Company, who had recently lost their offices in Victoria Street, by allowing them to use as an office a small house he had recently purchased and renovated in Little Burton Street at Darlinghurst. 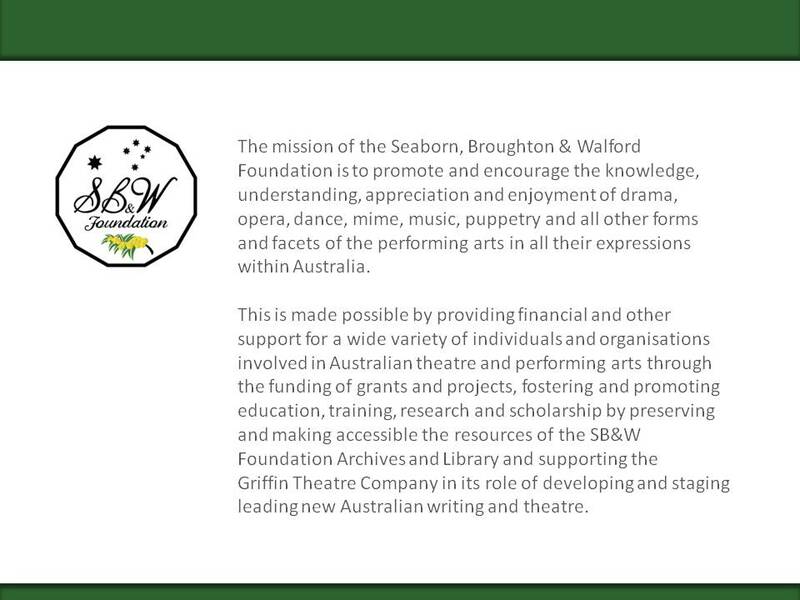 The seed that Lilian Horler had sown, grew and Dr. Seaborn contemplated making a grant of $500,000.00 to set up a charitable foundation for the benefit of Australian Theatre and Performing Arts, the Foundation to be named "The Seaborn, Broughton & Walford Foundation". Each of the three names represents the name of a family of which he is part. His father was Leslie Seaborn, his mother's maiden surname was Broughton and his maternal grandmother's maiden surname was Walford. 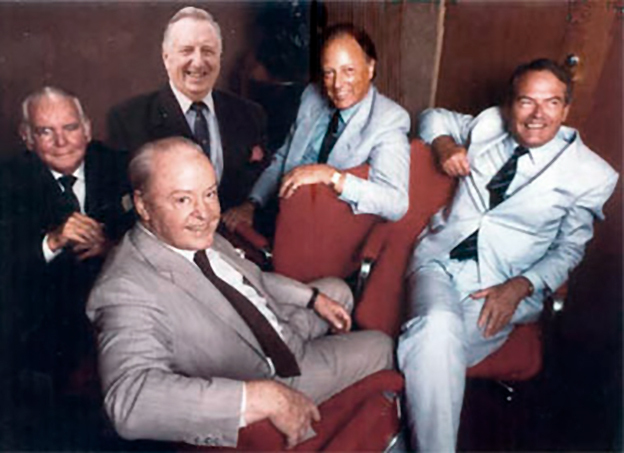 Dr. Seaborn approached only four persons asking if they would be associated with him on the Foundation and Dr. Seaborn was honoured by each of them accepting. Two of them were his cousins and they have a common grandparent named Walford. 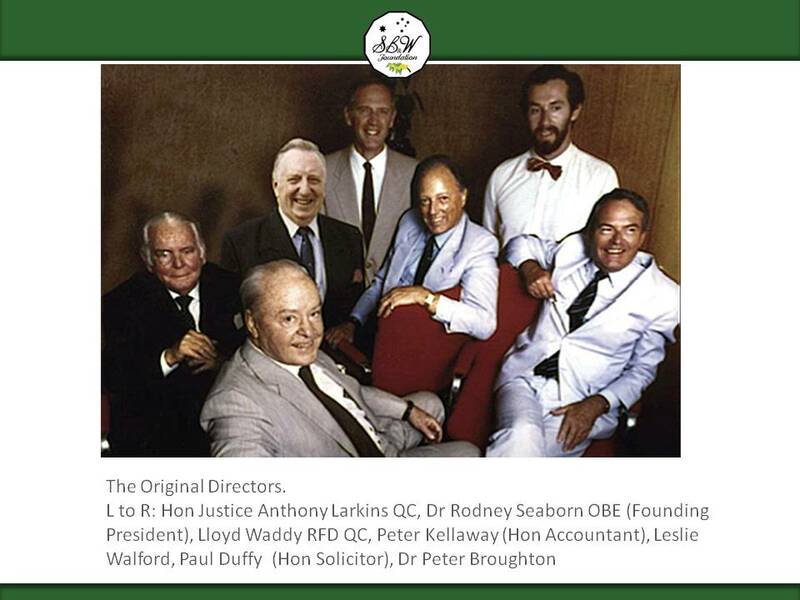 Dr. Seaborn had known, liked and respected each of the directors of the trustee company. 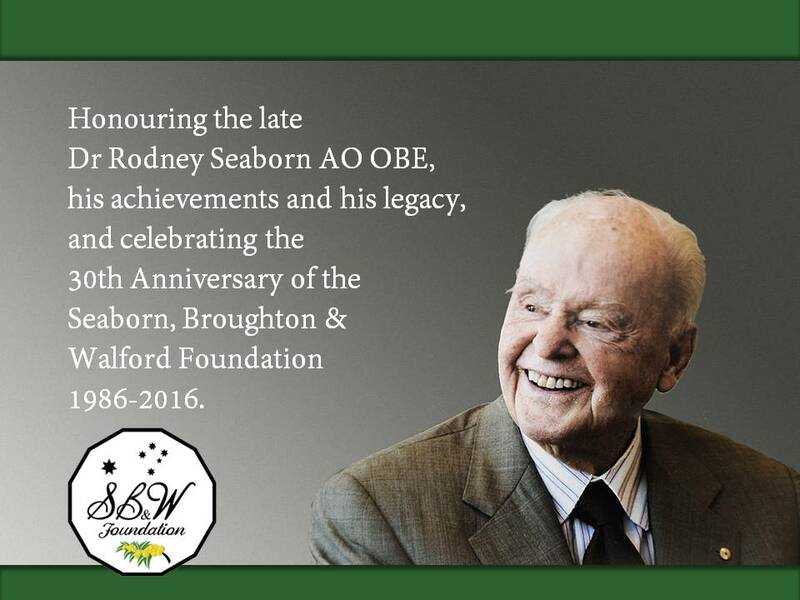 His cousin, Dr. Peter Broughton, was a recently retired medical practitioner. His cousin, Leslie Walford, was a well-known interior designer and decorator. Antony Larkins, Q.C. 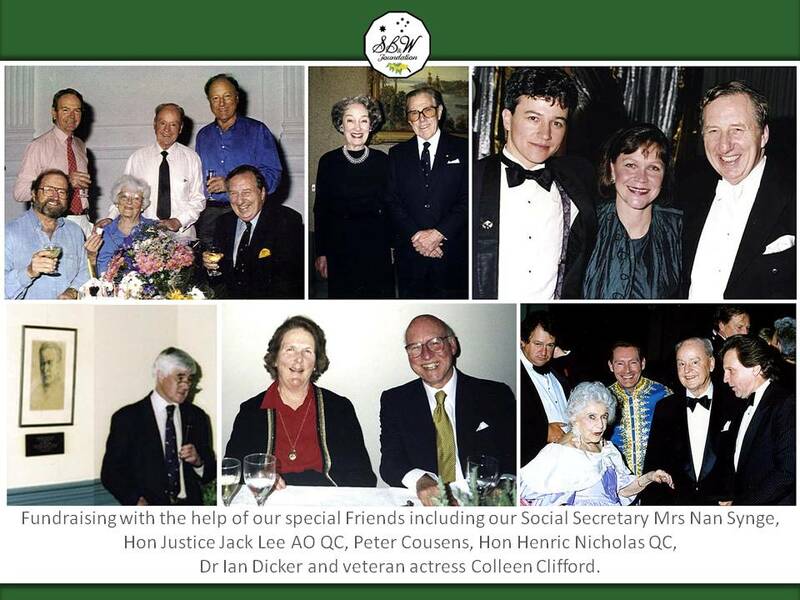 was a recently retired Judge of the Supreme Court of New South Wales, who had been a close and good friend to Dr. Seaborn for many years. 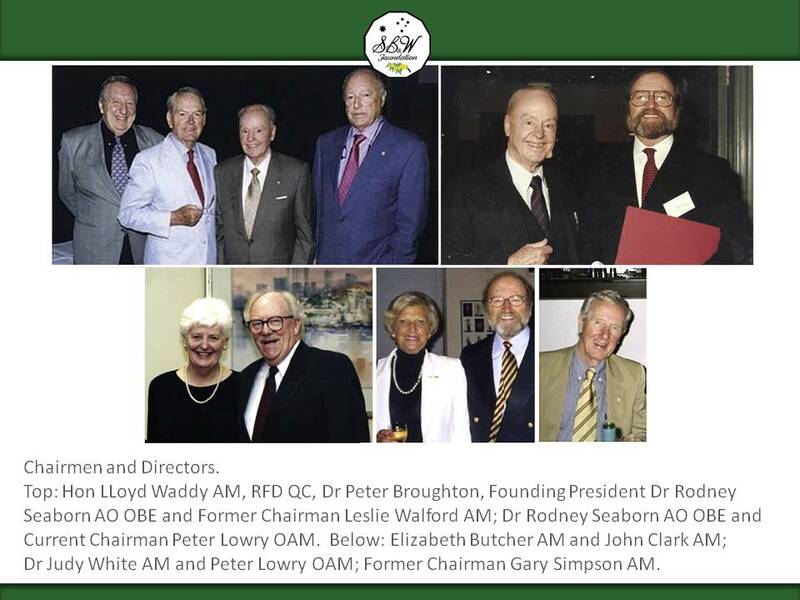 Lloyd Waddy was a barrister-at-Iaw with keen interest in theatre and, as an old boy of The Kings ‘ School, was very active and highly-regarded in furthering its activities and development. 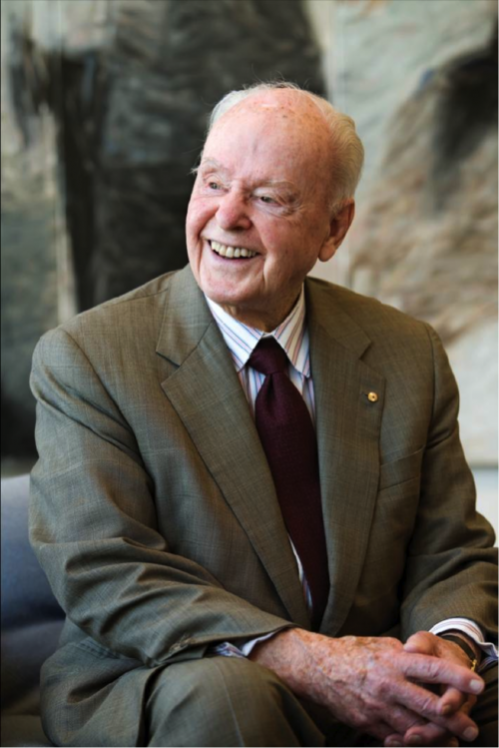 The Foundation's solicitor and secretary was Paul Duffy, a partner in the firm of Garland Seaborn & Abbott, who had been Dr. Seaborn's solicitor for many years and his grandfather, Jack Benecke, a consultant solicitor of Garland, Seaborn & Abbott, was a partner of Dr. Seaborn's father in that firm. Peter Kellaway was the accountant to the Foundation and had been Dr. Seaborn's accountant for many years. 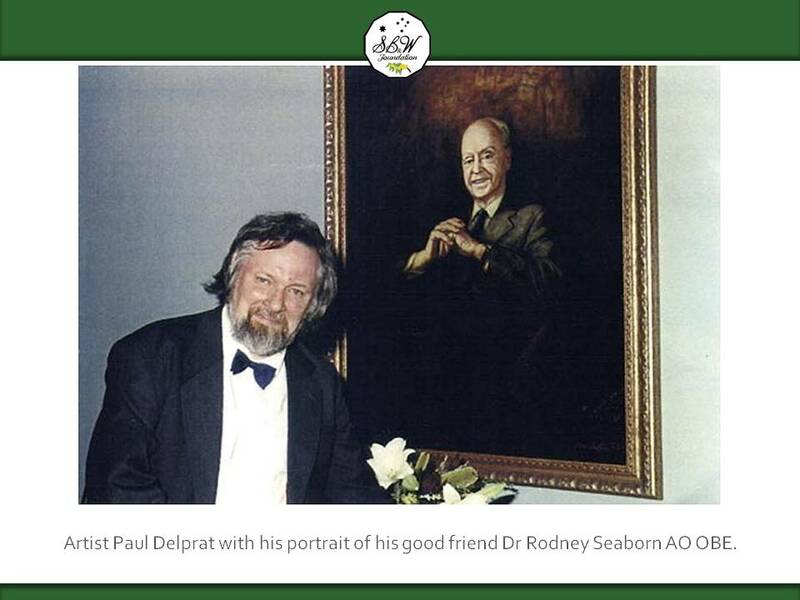 His family had also been associated as close friends of Dr. Seaborn's family for many years. 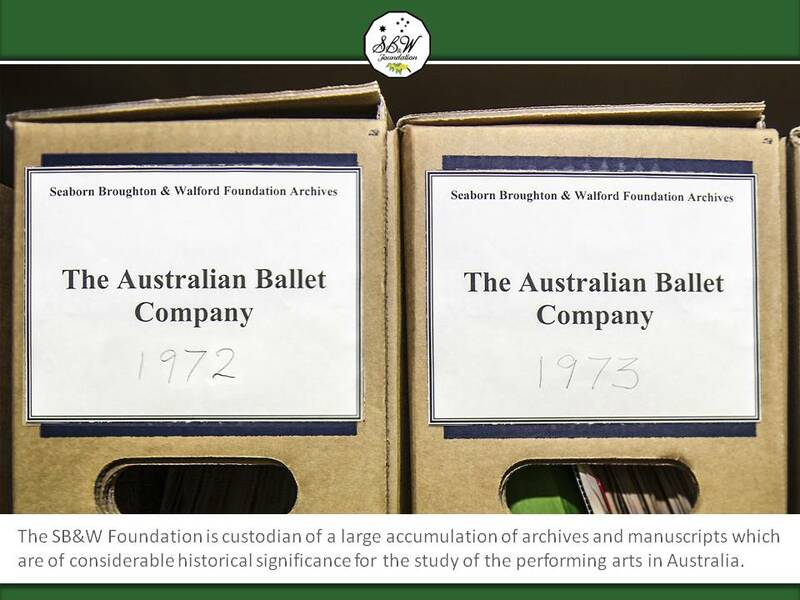 Each of the directors, Peter Kellaway, Paul Duffy, Penny Cook and Bill Eggerking had already given much of their valuable time and much enthusiasm in the formative period of the Foundation. Dr. Seaborn was sometimes concerned that his appreciation to them may have been inadequately expressed, but it was very genuinely felt. Dr. Seaborn wished to also express his appreciation to Lilian Horler, not only for the seed that she sowed but also for the advice, friendship and practical assistance that she and Ken Horler have given and which he hoped that they would continue to give. 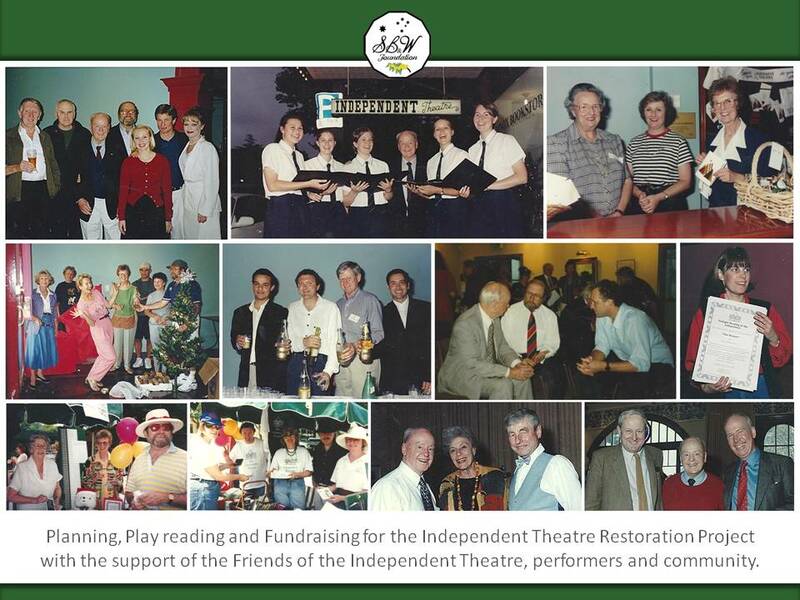 In September 1986 Bill Eggerking advised that "The Stables Theatre" was again being offered for sale by Bob Ellis and his wife for $200,000.00. 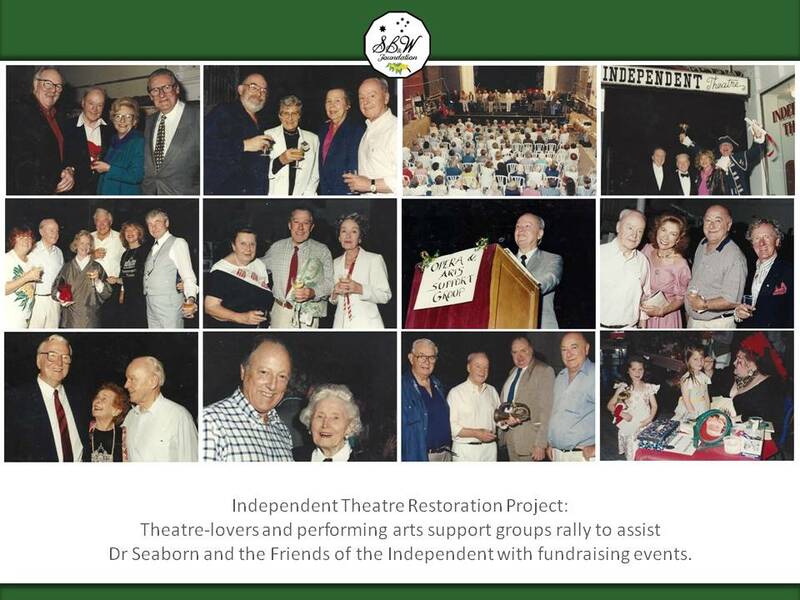 The Foundation was established and purchased the theatre. 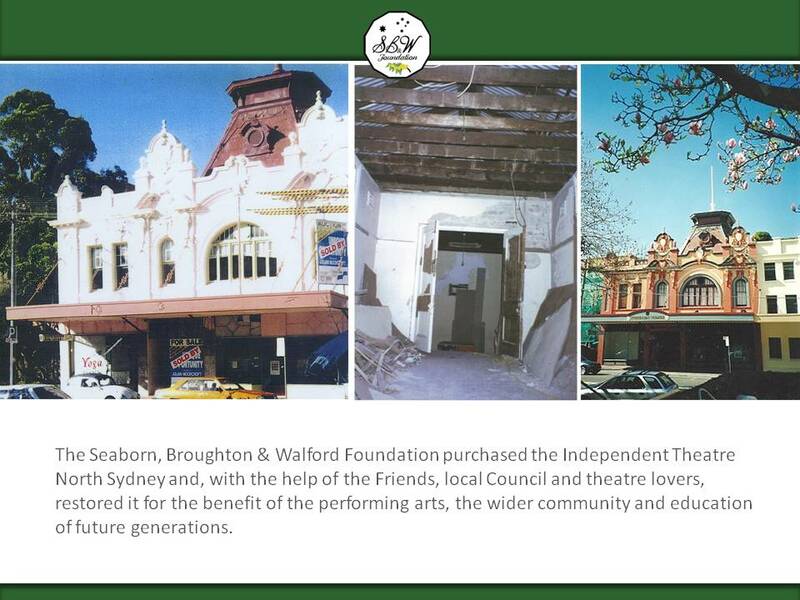 The terms and conditions of any lease relating to the theatre will, of course, be decided by the Trustee. 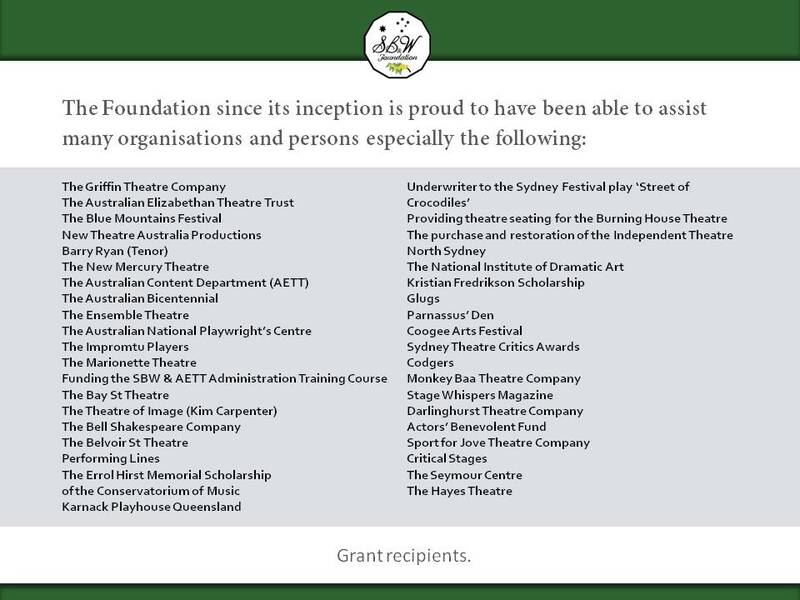 The first lessee and thereby first beneficiary of the Foundation will appropriately be the Griffin Theatre Company which will have a secure home. 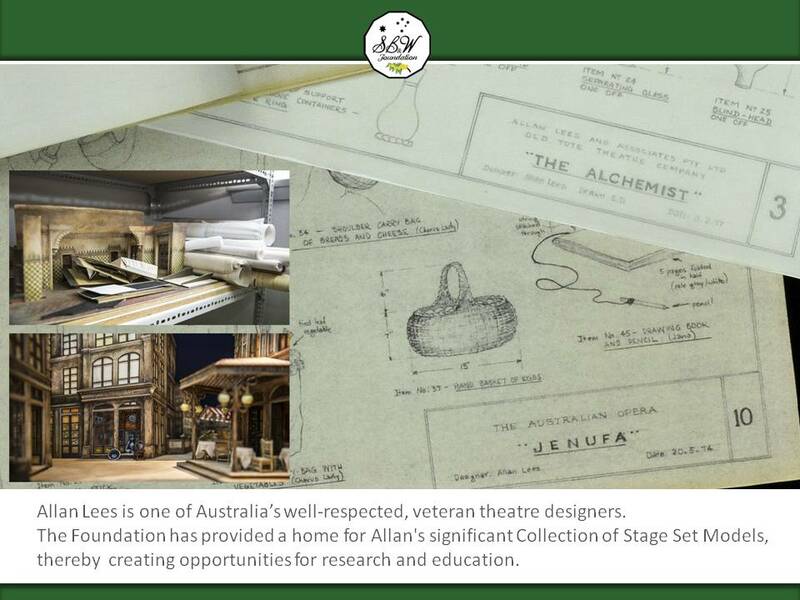 This will enable them to proceed with their policy of producing mostly Australian plays. 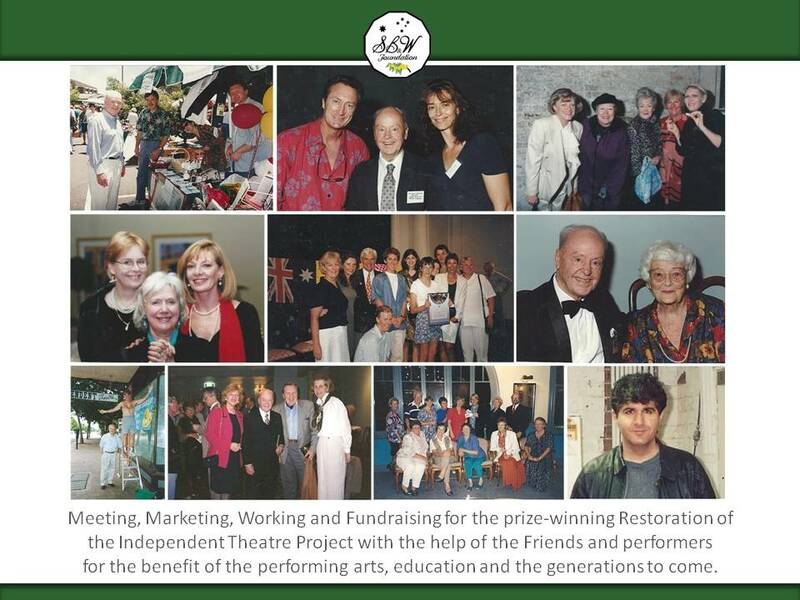 The enthusiasm and warmth of the members of the Griffin Theatre Company in acquiring a "permanent and secure home" for their activities and their desire to help in furthering the Foundation has always been heart warming. 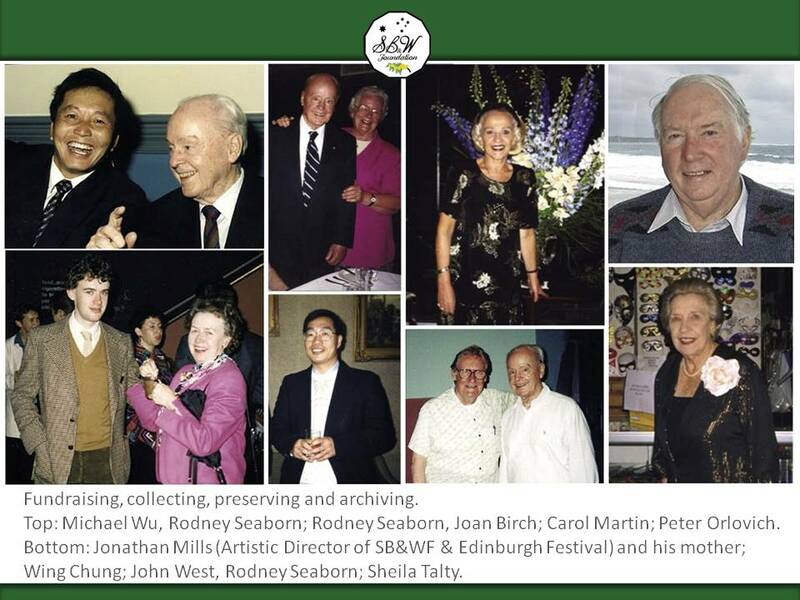 Thanks are also due to Dr. Seaborn's secretary, Mrs Phil Miller, (Assistant Secretary), to Mrs Nancy Synge (Social Secretary), Mrs Joan Birch (Treasurer) and Mr. Michael Wu, each of whom, in a variety of ways, gave much assistance in these early years. 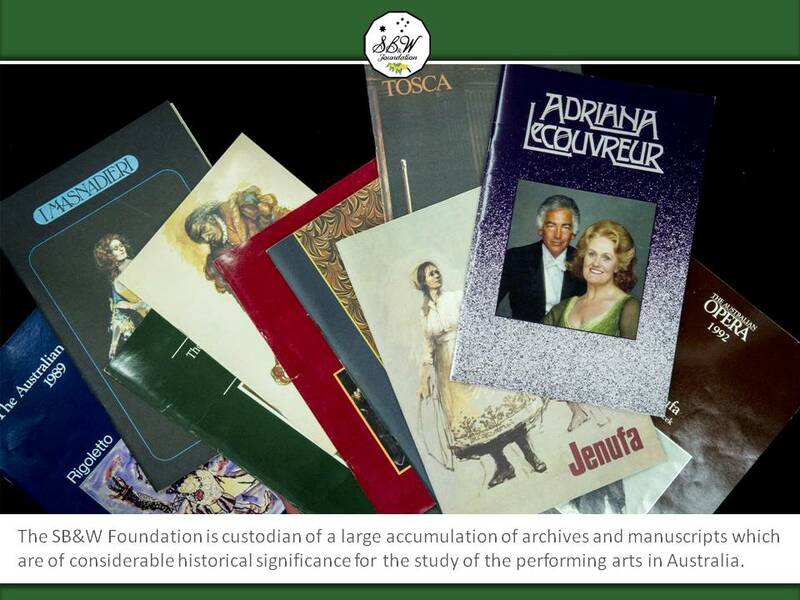 Dr Seaborn hoped that adequate records would always be kept of the Foundation's activities and when read would show that our Foundation has contributed much in benefiting the development, education and promotion of the Australian Theatre and Performing Arts. 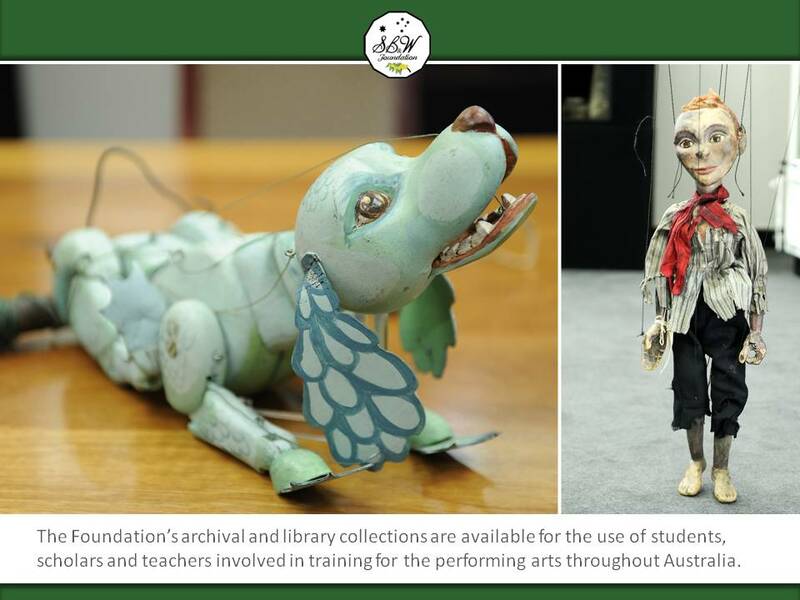 The Seaborn, Broughton & Walford Foundation Archives, Library and Performing Arts Collection has provided a home for the famous Marionette Theatre of Australia Collection.